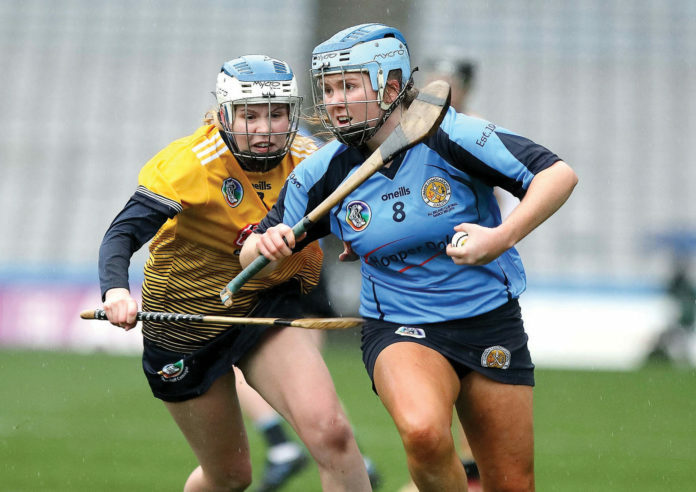 Gailltír’s Shauna Fitzgerald powers forward. Pic: Noel browne. Following three opening defeats, Benji Whelan and his Waterford Football charges have certainly turned their Allianz League form. Winning against Wexford two weeks ago saw the team collect a brace of points and they followed that up with another hard earned win last weekend against Antrim. The opening half of this game at WIT saw the Glensmen facing the wind but excellent points from Patrick McBride kept the visitors on terms throughout the half with Sean Whelan-Barrett and Feargal O’Cuirin on target for Waterford. Late points from Tommy Prendergast and JJ Hutchinson edged the hosts 0-6 to 0-5 ahead just before the interval. On the turnover it was Antrim who made the running. A goal from Stephen Beatty putting some daylight between the sides and it looked as though the points would be going to the Ulster team. Confidence gained from the win the previous weekend saw Waterford with a renewed effort in the final fifteen minutes. Antrim keeper Padraig Murray failed to clear his lines with fourteen minutes remaining, Dylan Guiry was on the spot to crash home. Nothing now seperating the sides and deep in injury time James McGrath was on hand to land a winning point after good work by JJ Hutchinson. Two points gained and back to back victories. Up next is a trip to London and then a final game against Leitrim. A poor start may yet lead to a superb finish. 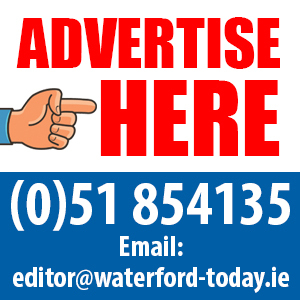 As the fans converged on Walsh Park last weekend for a top of the table clash between Waterford and Galway the heavens literally opened and to huge disappointment referee David Hughes was forced to call off the fixture. Such a pity for the followers of both Waterford and Galway but player welfare has got to be paramount. It was heartbreak for Gailltir Camogie last weekend as they went down (0-10 to 0-9) to Clonduff in the All-Ireland Final. The opening half saw Clonduff edge ahead 0-7 to 0-5 at the break with Annie Fitzgerald (0-4) and Clodagh Carroll (0-1) scoring for the Barony. Indeed in injury time Clonduff keeper Karen Haughey was called on to make a penalty save from Aine Lyng. The second half saw both teams strive for scores and Aine Lyng did bring Gailltir to within a point they just could not retrieve the deficit. Overall everyone involved can be extremely proud of the year.